Many of our vzaar customers have been asking for video editing applications that we’d recommend. There are many on the market today, some of which are pre-installed on your computers such as *Imovie* on the Mac or *Movie Maker *on the PC. vzaar provides and online video hosting service and we tend to prefer online applications as they are always current in terms of features and bug fixes and can be accessed through a browser which gives more freedom and accessibility. So when looking for a video editing solution we wanted it to follow the same principles. We found (http://jaycut.com/) and thought you might want to hear more about them! To really sweeten the deal Jaycut have offered vzaar users a little bonus if you want to [try their new video mixer here](http://jaycut.com/campaigns/new-mixer). When signing up enter the word **vzaar2** and you will be guaranteed a funky new beta account. After reading an interesting post, about the recent news of YouTube reaching 100M viewers, from [The Video Commerce Consortium blog](https://video-commerce.org/2009/youtube-tops-100mm-viewers-in-january-so-what/), I decided to echo some of our views on the topic of online video, as it pertains to ecommerce. It’s also a good opportunity for me to compare our service with that of YouTube when using video for ecommerce. YouTube are the forefathers of online video and have paved the way for other online video hosting services such as ourselves. It’s hard to believe they are only 3 1/2 years old. It feels like they’ve been around for ages. Let me first though, before I provide the differences, say that we are technically similar. We both encode most video formats to flash and we both host and deliver video content on the internet. The core difference is rooted in our business models. 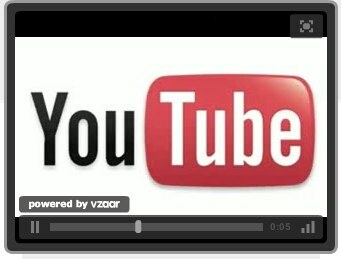 YouTube don’t charge their users to use the service and at vzaar we do. Remember though, nothing is ever really free. [vzaar’s](https://vzaar.com) founding principle is to provide ecommerce merchants with a service that enables them to use video to merchandise their product or service. We are not a destination site for people to come and watch video, we are a tool for businesses to use to power video on their site. vzaar users own their video and their video player. They have control over who sees it and where its published. They also have an unbranded video player so it looks smart and a seamless part of their site. We have some other neat features but in the interest of keeping this succinct I won’t digress. The principle behind YouTube is sharing video and as I said before the difference between vzaar and [YouTube](http://youtube.com) is the business model. YouTube sell advertising space on their site and video player, so viewers will be exposed to anything YouTube decide to display and the “owner” of that video has no control. Not ideal if you are selling let’s say a vacuum cleaner from Hoover and YouTube sell advertising to Dyson the viewer will be exposed to both products. One which is yours and the other which isn’t. YouTube don’t charge their users for the service and instead charge advertisers which means they need to keep driving traffic to their site keeping the traffic up to warrant the ad spend. They are a destination site, a video sharing site. As a result YouTube users don’t actually own the video player or have control over what is published in that player. So if you have a video that you want to share with the world then YouTube is perfect. If on the other hand you want to embed a video into your business website then think again. For me this is the clincher: ownership and control. When using video to aid in the sale of a product or service that video in itself is an advert and the lasting impression should be of that product or service not someone else’s. To that point let me quote a piece from the blog I for mentioned as it hits the nail on the head for me. We love YouTube but if I would not embed YouTube videos on my business site simply because that’s not what its designed for. It’s the wrong tool for that job. So you have developed this great online shop that you are really excited about and you have identified your market. All you need now is to connect the two. Google ad words, paid advertising, blogging are all common practices to create awareness. Many business’s rely on search to acquire customers, be it natural or paid. 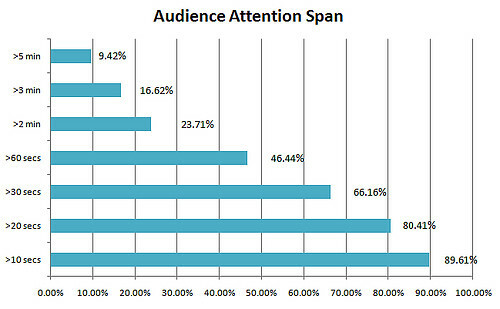 So it is important that you are getting the most out of search and this is where video comes in. Blended search has now become a common practice by some search engines including Google by expanding the results beyond text to show different types of content such as maps and video. This shift in search is providing forward thinking companies an advantage in today’s search engine game. For instance, let’s say your product or service makes the first result page but its way down towards the bottom. Many searchers won’t click through as you are not near the top three and don’t stand out. If however you had a video thumbnail next to your result you would certainly be standing out, and the chances of a click through are now more favourable. So if you are bought into this idea let me try and take it a step further. If you use Youtube or another video sharing site, the searcher will be taken to the location of the video on the video sharing site. Not ideal, as you the merchant want that referral. This is where vzaar can help. If you use vzaar the searcher will be taken to the url (which you provide) of where that video appears on your site. vzaar redirects searches to this URL, as we are not looking to drive your business to our site but to yours. vzaar offers this feature to all of its paid subscribers. So videos not only keeps customers on your site longer (which increases conversion) but can now actually help you be more effective attracting users to your site from natural search too. Now that’s a really hard question to answer. 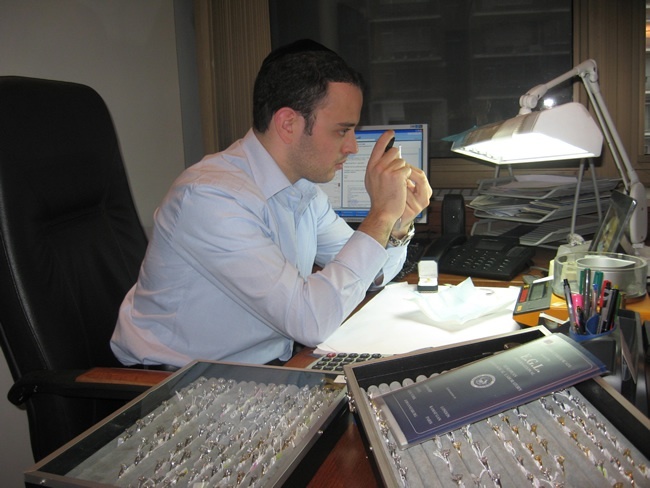 Someone selling a diamond ring might be able to get their message across in a few seconds, whereas an eLearning company talking in depth about their topic probably needs more than 15 seconds in which to do that. So, in short, there is no one perfect answer. Sorry! What we have learnt is that attention span’s of those watching your videos are limited and that anything over a minute will generally start to lose viewers. Our completion rates confirm that against shorter, punchier videos. So where possible do try to be brief, to the point or snappy as one might say! Some interesting data to back this up has just come to light from tubemogul who sampled over 180,000 videos and have found that for anything under 30 seconds you’ll capture the full attention of an impressive 66% of your audience. Worryingly, a video length over 2 minutes and over three quarters of your audience (or potential buyers) switch off. So try to keep it short and to the point. It is important to remember that what you say is equally important as how you say it. Try to get your message across as early as possible and practice the elevator pitch technique to ensure you cover everything you want in a concise but brief way. It is all too easy to ramble on for minutes only to find you haven’t even touched the topic you want your video to focus on. A shorter video length which covers a single topic will improve engagement, making it easier for your audience to digest and share. In the digital age you can practice and shoot as many takes as you feel necessary, so try different video lengths and see what works for you. https://vzaar.com/wp-content/uploads/2019/03/vzdc-logo-1500x630.png 0 0 jamie https://vzaar.com/wp-content/uploads/2019/03/vzdc-logo-1500x630.png jamie2008-12-02 11:56:082018-10-12 15:50:26Video Length: How Long Should My Video Be?